King Rentals, Inc. | About Us | Beachfront Condo Rentals & Property ManagementKing Rentals, Inc.
King Rentals, Inc. is a property management and vacation rental company serving Florida’s Space Coast since 1978. We pride ourselves on providing high quality services to property owners and renters alike. We offer everything to suit your rental needs: long or short term, furnished and unfurnished, from economy to luxury. Whether you are vacationing, seasonal tenants, snowbirds, or traveling for work, we have accommodations for you. With over 300 units to choose from, you can be sure we will help you find the perfect rental for your stay on the Space Coast. For property owners, King Rentals offers full management services including maintenance, bill pay, and more. Our in house service company, Keenan Services, lets us quickly expedite cleaning, repairs, and remodels. We also offer limited services such as tenant placement and rental screening. Our track record speaks for itself: we maintain one of the highest occupancy rates for vacation rentals here in Cape Canaveral and Cocoa Beach. We make property management simple and convenient. For renters, King Rentals accommodates a wide variety of travelers and tenants. We make every effort to ensure our your stay with us is enjoyable. We regularly inspect and maintain our rental properties; quality is our priority. We also make our 24/7 after hours line available in case of emergency. Buying or selling your property on Florida’s Space Coast? Our real estate company, Vincent Keenan, Realtors serves all of Central Brevard County. We are happy to connect you with one of our licensed real estate agents! King Rentals’ team of experienced, friendly, professional staff is committed to providing you with great service. We believe in personalized service, that’s why we take the time to work directly with each customer. Our goal is to make your experience with us a positive one! After nearly 40 years of service providing vacation condo rentals and property management on Florida's beautiful Space Coast, you can trust our experience. 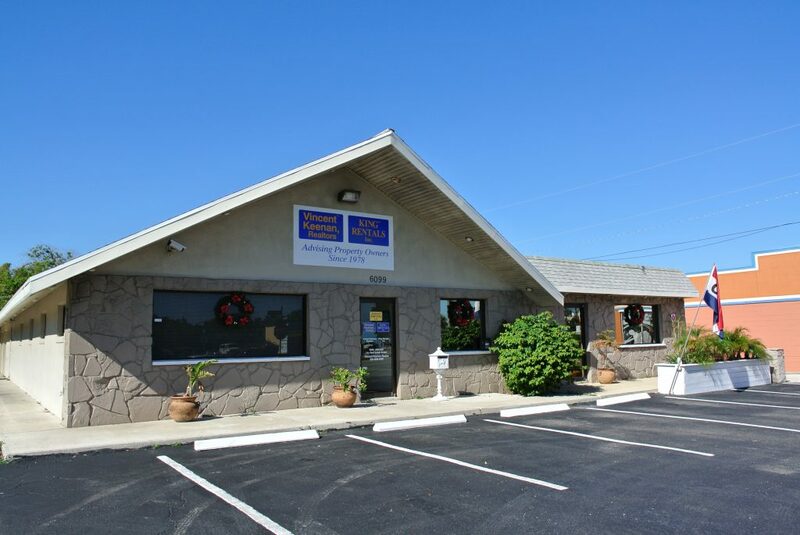 Our office is conveniently located in Cape Canaveral and our friendly, professional staff is available to you 24/7 through our toll free number. Whether you are visiting for work or vacation, the Space Coast has something for everyone. With a wide variety of local events and attractions, there is always something to do, or take a short drive to Orlando. Enjoy our laid back, beach community while sitting on the beach, shopping, sightseeing or just relaxing in your choice of our many available condominiums.